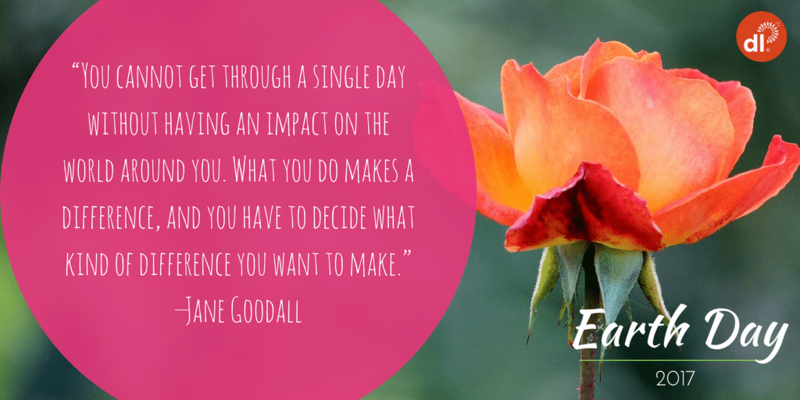 I am a huge fan of Nature and this Earth, and all the ways she sustains us in mind, body, and spirit. 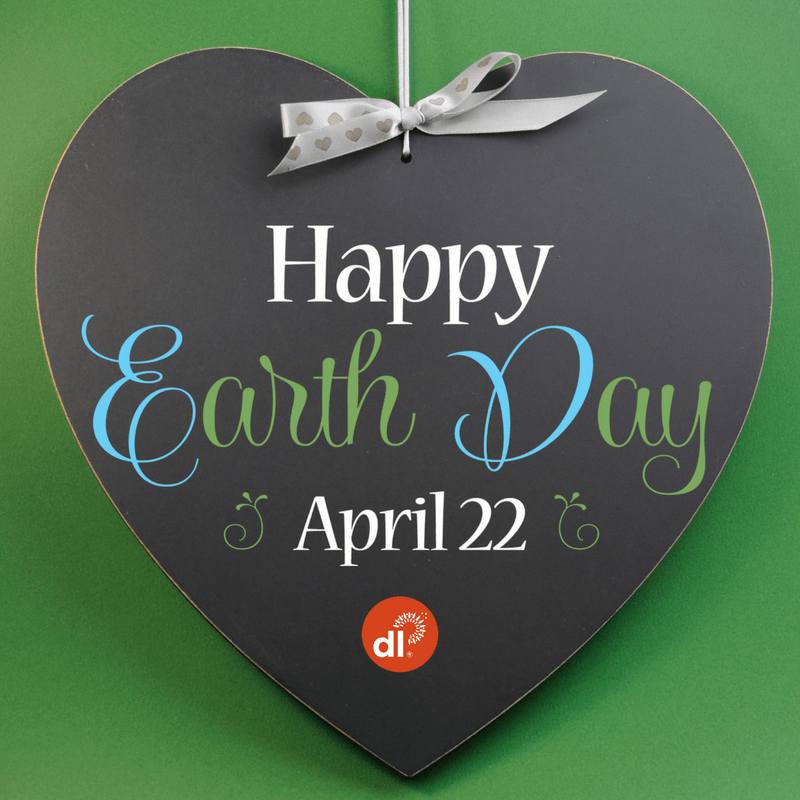 Part of respecting the Earth, is what we eat and how we treat what we eat. Sustainable eating is complicated. It’s time-intensive and confusing to compare the carbon footprint of, say, an organic apple grown a thousand miles away and trucked to your grocery store versus an organic cereal brand that participates in a carbon-offset program. Further complicating matters, is that for some of us (including me) non-gmo and organic really do make a difference to my body, health, and well-being. But the government does not regulate “local,” as it does the USDA Organic label. It’s up to the retailer, restaurant or shopper to decide what local means. For one retailer, “local food” could mean food sourced within a certain mile radius from the store; to others it could mean buying from farms in the same county. To Danielle Vogel, founder of Glen’s Garden Market based in Washington, D.C., “local” means food produced within the Chesapeake Bay watershed—a region that touches seven states along the Eastern seaboard. Vogel is dedicated to sourcing as much local food as possible in her store, making exceptions just for tropical ingredients like spices, orange juice and avocados. Vogel’s commitment to local sourcing is twofold, as it saves both the fuel it would take trucks to drive produce, meat, dairy and eggs across the country, and importantly, the length of time food must be refrigerated. “Refrigeration is incredibly carbon-intensive. 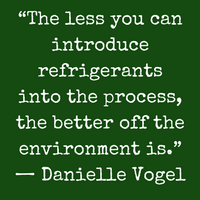 The main chemicals in refrigeration are hydrofluorocarbons (HFCs), and they are 12,000 times more carbon-intensive than CO2,” says Vogel. “The less you can introduce refrigerants into the process, the better off the environment is.” For example, compare the carbon and HFC resources it takes to ship milk the 2,800 miles from California to the East Coast versus shipping milk from a Maryland-based dairy farm the 50 miles to Vogel’s grocery store. The case for local food as a climate-friendly option is clear. But Vogel is quick to caution that just because a farm or food producer is located close to your home, that doesn’t necessarily mean they are an eco-conscious choice. Large-scale farming operations that use pesticides and fungicides could be a stone’s throw from your house; sugar-laden soda companies could be manufacturing across the street. So although local is an important hallmark of sustainable food, it’s just one part of the solution. Farms must also be consciously managed, which often means adhering to organic or biodynamic practices, too, as chemical fertilizers can cause just as much damage to the environment as food that travels thousands of miles. A recent study published in the journal Nature Plants chronicled the environmental footprint of a staple finished product, bread. While trucking the raw wheat to processing facilities and to the consumer largely contributed to climate change emissions, scientists found that bread’s worst environmental faux pas was from ammonium nitrate fertilizers. These agricultural chemicals are applied in large quantities—sometimes more than farmers actually need—and end up polluting waterways and turning into the greenhouse gas nitrous oxide. Both local and farming practices matter when it comes to being a better steward of climate change. 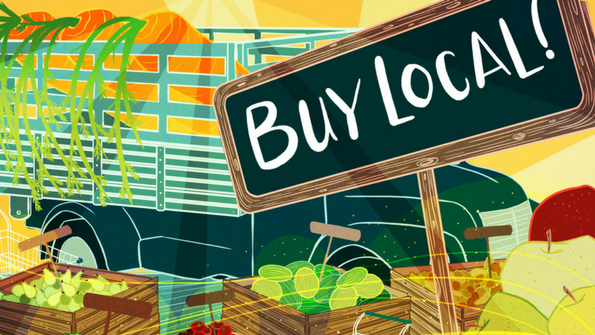 To better understand your grocery store’s sourcing decisions, ask your retailer how it defines local. Some retailers consider “local” to be anything produced in their county or state, while others consider “local” to encompass products produced within 100 miles of their front door. Also, buy seasonal produce to increase the likelihood that fruits and vegetables were locally grown, and frequent farmers’ markets to support farmers in your community. 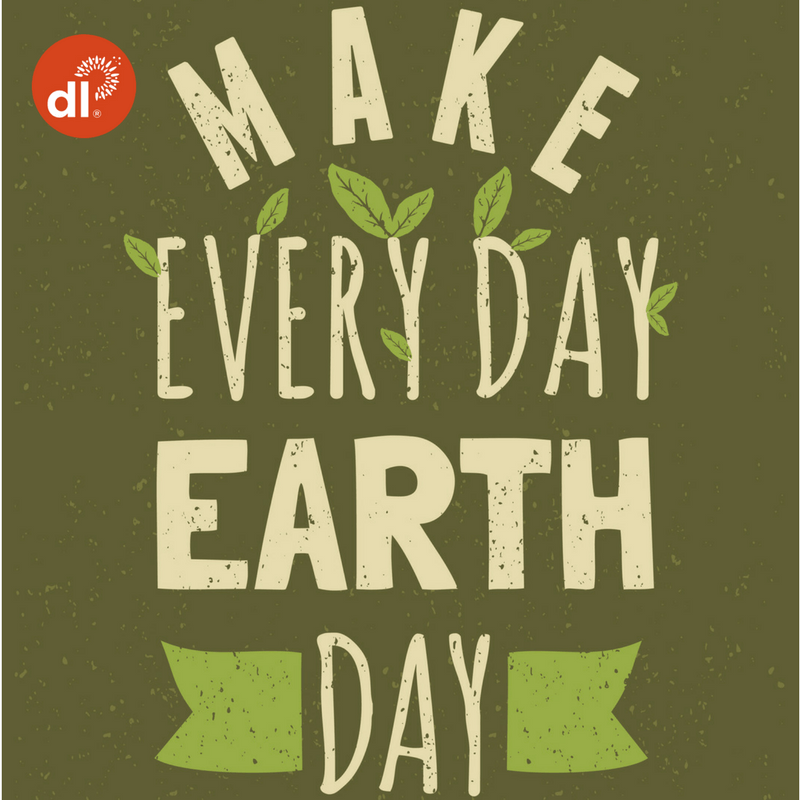 In any case, let’s consider making every day Earth Day, where we consider the impact of our choices on the environment. 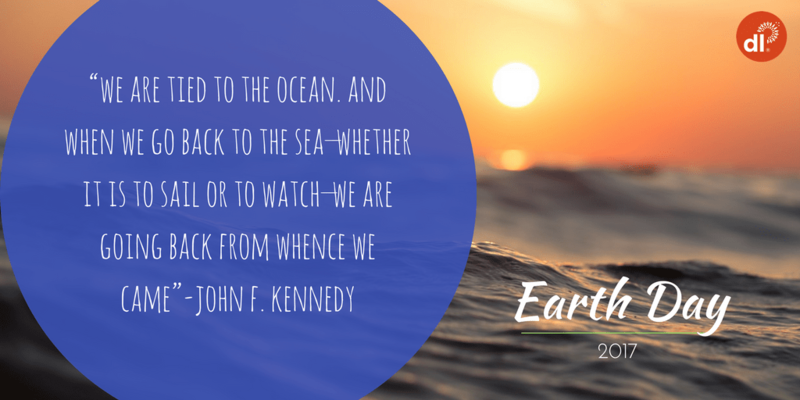 Because, in truth, we are the environment, and our health and well-being are intimately tied to the health and well-being of the Earth.